Belying this alleged corruption, reports show, is a systematic plundering of the provincial coffers, documented by reports by the Auditor-General (AG). The reports document how the provincial government resorted to ever more creative accounting methods to hide what appeared to be suspicious transactions, with the help of no less than the state law advisors. This, combined with Magashule's alleged control of tenders in the province that contributed to consistent cries by the AG that proper tender procedures were not being followed, and the province was not getting value for money. 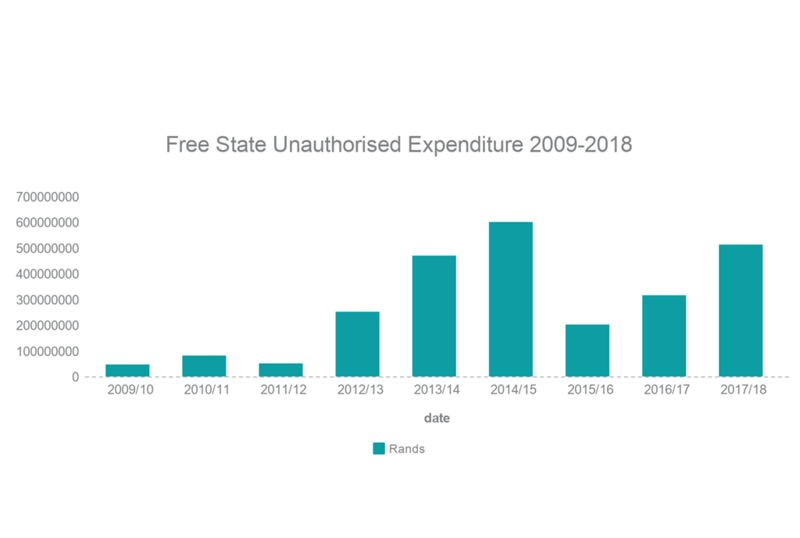 In his 2017/18 report, Auditor-General (AG) Kimi Makwetu singled out the Free State and the North West as being in a "very bad state". "Delays in the completion of projects, poor quality work and payments without evidence of delivery (especially in the Free State) resulted in poor service delivery and allegations of fraud," he said. The exasperated tone of the AG had been a long time coming. 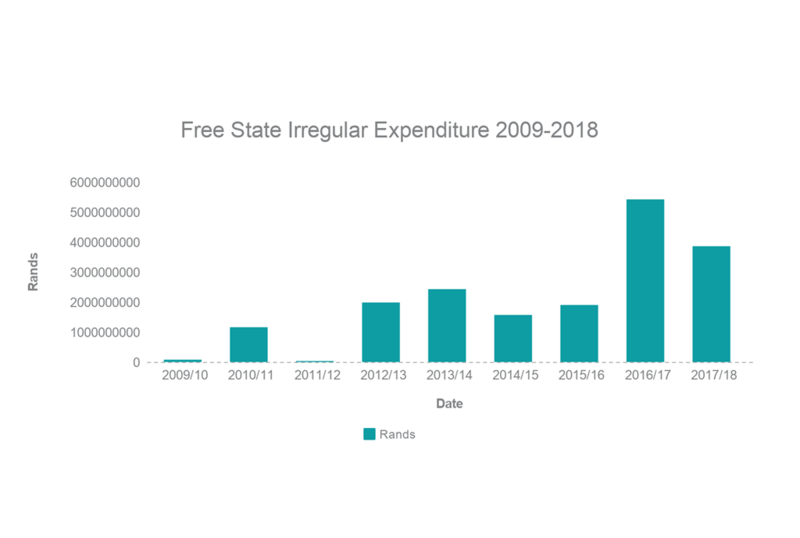 Irregular expenditure ballooned to nearly R4bn in 2017/18, and unauthorised expenditure was at over R500m. In 2015/2016, the AG complained that the province had regressed in the previous three years. By now, the provincial government had started to put pressure on auditors to ignore certain projects, the AG's reports show. Once a project had been handed over to the "implementing agent", it was no longer a government project and so the AG should not audit it, the Free State argued. "There is an increasing trend where auditees employ the strategy of delegating its functions to another entity and appoint them as implementing agents. Fair, equitable and transparent procurement processes are not always followed to appoint these implementing agents. Furthermore, once payments are made, no further monitoring is done by auditees to ensure that fair, equitable and transparent procurement processes are followed by the implementing agents to ensure that the best price is paid when they spend money on behalf of the auditees." A number of departments said they were reviewing the appointment procedures for implementing agents. 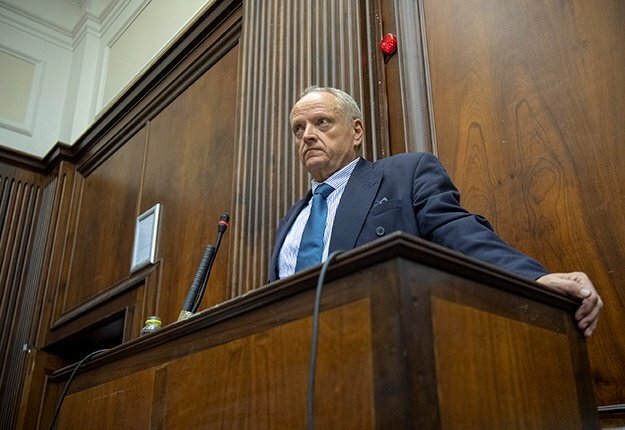 David van Vuuren, financial chairperson for the Democratic Alliance in the Free State, explains that in the province's case, public funds are lost through implementing agents, saying, "[Departments] appoint these implementing agents and through this they have a money laundering scheme." "In the case of agriculture, they get the implementing agent to do the management of a project but the department still stays responsible for some of the duties, and it shouldn't work like that. If they transfer the duties to the implementing agent and they transfer the money over to them, they don't have to account for that money which is very irregular because it's public money," says Van Vuuren. Considerable pressure was put on auditors to ignore these projects, the reports show. And when the AG's staff refused to go along with this, the state law advisors came to the provincial government's rescue, performing the legal gymnastics required to issue legal opinions telling the AG to back off, according to the reports. An implementing agent could be a private or public body to which the government would "delegate" its functions, such as Estina in the Vrede Dairy Farm scandal, or a public entity like the Free State Development Corporation (FDC). There were no clean audits in the 2017/2018 financial year, and at the end of Magashule's term, some departments were on the brink, and there were reports of discussions to place some of them under national administration. 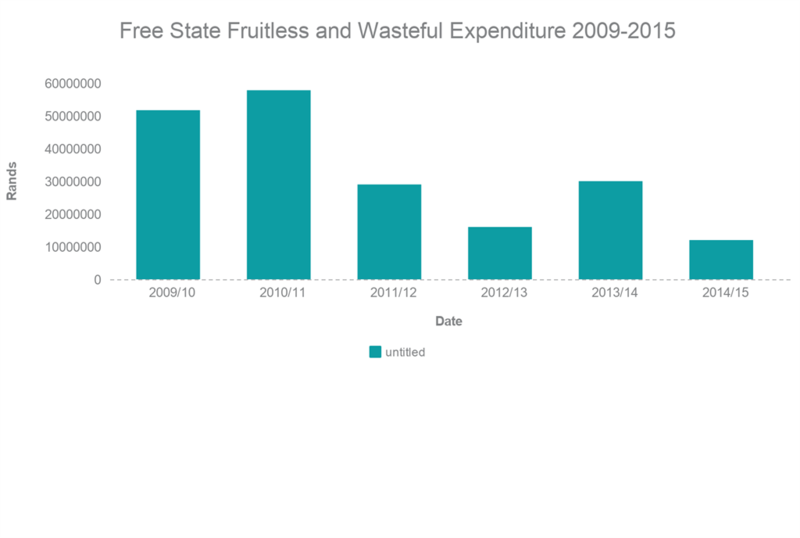 The Free State education department had already spent 78% of its operating budget for the next financial year. "The province's political and administrative leadership yet again exhibited no response to improve accountability for government spending," the AG complained. "A culture of no consequences has been created through the leadership's involvement in the decision-making that led to transgressions." Myburgh's book details how Magashule allegedly took a cut of major tenders, always in cash. Sources described Magashule to Myburgh as "the head of a well-organised state-capture network". 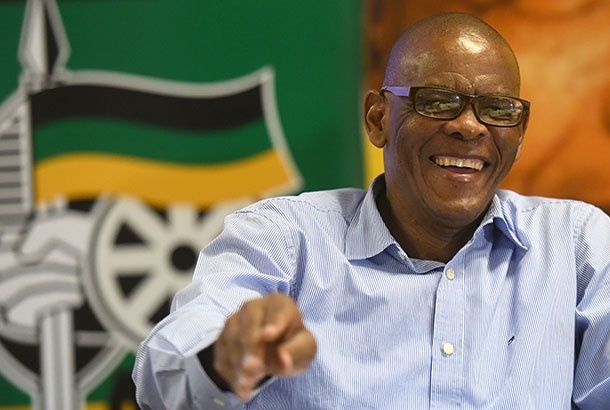 A former Free State government official who has known Magashule for 40 years, told News24 that this dependency on the government worked in Magashule's favour. "People depend on him for their livelihood," the source said. But Magashule was not always like this. His career as premier began in 2009 and, just like the man who became president that year, his ally Jacob Zuma, he was seen as a man of the people. Caring and charismatic, his supporters saw in him someone who cared deeply about the poor. "He was never a person who was like a bouncer or a gangster," said the source. But the cracks began to show soon enough. "There's a cartoon that says, 'do all fairy tales that start with once upon a time or, once I get elected?'" said the source. Magashule was also not a man who was particularly good at policy issues, and the red tape that comes with government irritated him. "He's a person who wants to see things happen. Processes are an irritant when it comes to that. Immediately, when you don't respect processes, then we are in trouble," he said. Sethulego Matebesi, senior lecturer of Sociology at the University of the Free State, said the centralisation strategy had a negative effect on small businesses in the province, who didn't have a fair shot competing for government tenders. And yet, Magashule's popularity remained. Results from Statistics South Africa's extensive General Household Survey as far back as the beginning of Magashule's tenure show that in many cases, the alleged corruption has not trickled down to grassroots level, at least at the level of public perception. While an increasing number of people received RDP housing over the years, satisfaction with the quality of the housing decreased, the survey shows, albeit not by a great margin. However, on certain education indicators like access to schooling, satisfaction with healthcare, access to water and social welfare, the government seemed to be performing well. But this anomaly – high levels of corruption and pitiful financial management, but a populace which seems satisfied in official surveys – is actually not so strange. Matebesi explained that this could be because it is "taboo" to talk badly about the government and the ANC, so people might talk up the government's performance in surveys. And the government has not been a total disaster in some areas. Matebesi says there have been successes with the departments of education, arts and culture, and agriculture, despite their dismal showings in the AG's reports. But it is at local government level where things are so bad, in some places, the poor quality of water is legendary for breaking even the toughest of water filters. "There is a huge difference between what people will tell you and what service delivery is on the ground," he says of the General Household Survey results. Matebesi says Magashule's government would not intervene in some collapsing municipalities because these are important support bases. Politically, it points to a tendency to conflate party and state, as alluded to in former Public Protector Thuli Madonsela's report into the Free State government's "Operation Hlasela". That report found that Magashule had conflated state and party to the extent that the "operation", ostensibly a service delivery drive, became an ANC project too. While the province is by no means out of the woods, the situation appears to be turning around on a financial level, now that Magashule is no longer premier. National Treasury spokesperson Jabulani Sikhakhane told News24 this week that Treasury met with a delegation from the Free State led by the MEC for Finance in January 2019 and there has been progress in the budget and cash flow currently. Magashule could not be reached for comment, and also did not respond to Myburgh's questions for his book. But he told reporters this week that he is considering his legal options. The provincial ANC directed all queries to the director-general of the premier's office, who had not responded by the time of publication.